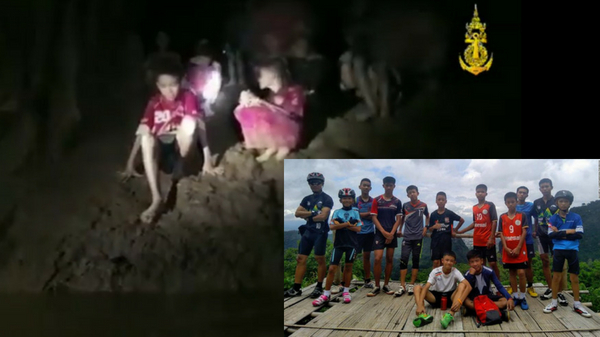 Thais are hailing it a miracle after all 12 boys and their coach of a Thai football team were rescued inside a cave after being lost for 9 days. The young boys aged 11 to 16 went on an exploration around the caves with their coach on June 23. Due to heavy downpour and flooding of dark tunnels, the team lost their way and found themselves captured inside the cave. The team has enjoyed numerous day treks with their 25-year-old assistant coach, Ekkapol Janthawong. They have even visited the same cave they were stranded in two years ago. The story has gripped the region and even the international audience. The Thai government coordinated with several international groups to launch a massive rescue mission. 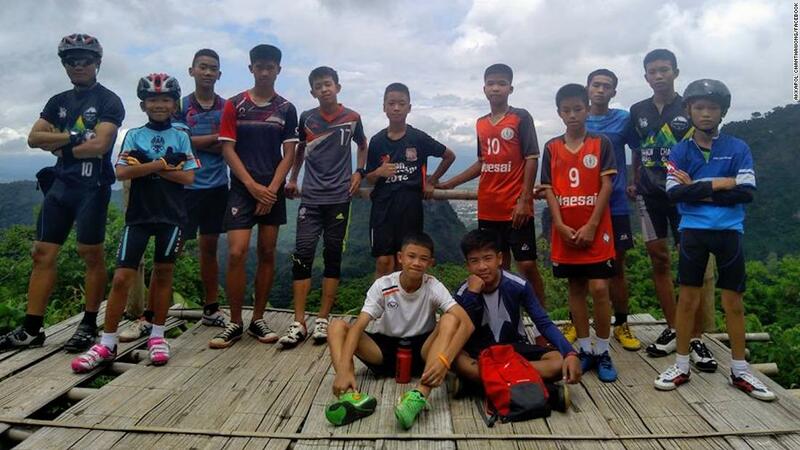 Following the concerted efforts of the Thai Navy SEALs as well as experts from the US, China, Australia and the UK, the stranded youth football team was finally found. On Facebook, the Thai Navy- SEALs shared a 5-minute video of the rescue mission. One of the two English divers who found the group can be seen illuminating the boys with his torchlight and asking them, “How many of you?" "Thirteen? Brilliant!” the diver said. The exhausted boys asked when will they get to leave the cave. The rescuer answered, “Not today. There's two of us. We have to dive. We are coming. OK? Many people are coming. We are the first." One of the young boys couldn't help but ask for food, "Eat, eat, eat, tell them we are hungry." Another one also asked the rescuer what day it was and he answered, "Monday, Monday. You have been here... 10 days. You are very strong." The rescuer assured the team that they will be back. One of the young boys said, "Thank you so much. Where you come from?" "England. The UK,” the diver replied. "Oh. See you tomorrow,” the boy said. After the announcement that all the boys and their coach were all alive, families cried in happiness. Now, the rescue mission is still being planned carefully. Chiang Rai governor Narongsak Osottanakorn told a press conference, “They are all safe but the mission is not completed. Our mission is to search, rescue and return. So far we just found them. Next mission is to bring them out from the cave and send them home." The plain includes draining water out of the cave while sending doctors down to check on the team’s health. Food, water and other necessities are also being delivered. Edd Sorenson, a regional coordinator in Florida for the International Underwater Cave Rescue and Recovery Organisation, had advised against trying to let the group force their way out of the flooded cave.